Air Switches, Foot Palm Switches, Pressure Vacuum Switch..
Senasys designs and manufactures a wide variety of switches including our Presair product line, which focuses on pneumatic actuation. Specifically Presair specializes in foot switches, air switches, hand or palm switches, pressure switches and vacuum switch for many different applications. All of these different types have different product categories depending upon the type of application you are using. All Presair switches are made in the U.S.A.
You may have seen our push button air switches in kitchens, spas, or even aquariums! We have different types of air switches available, including momentary action, alternate latching action, three or four function air switches. 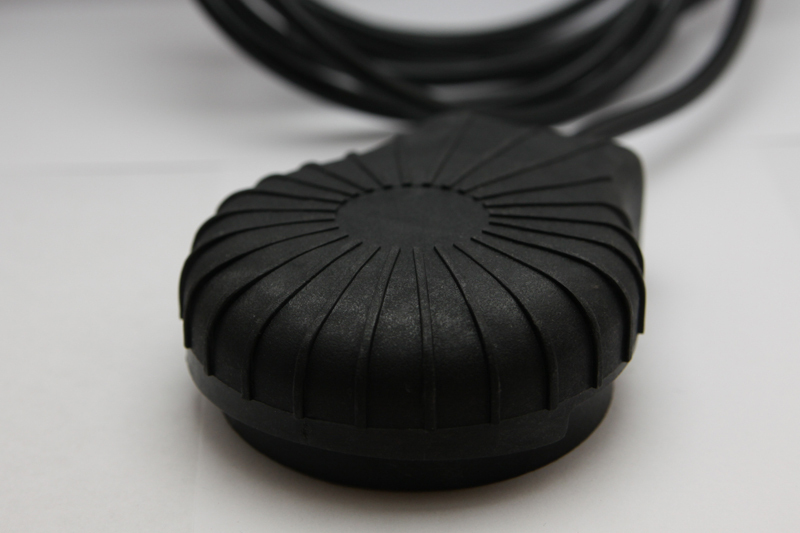 Paired with our foot pedals or hand palm bellows, our air switches are waterproof, explosion proof and shockproof! Choose an option to view more product details or purchase a single or double function air switch in our online shop! Choose an option to view more product details or purchase a three or four function air switch! We have a selection of footswitches which are suitable for different applications and industries.Each of our ranges has a different purpose and therefore different features. Our soft foot pedals are made for light duty applications, such as medical, household appliances, and shaved ice machines! Our heavy duty hard foot pedals have a hard outer shell that protects the inner air bellow from being damage when used. Typically applications for our hard foot pedal are industrial machinery, office equipment, and power tools. 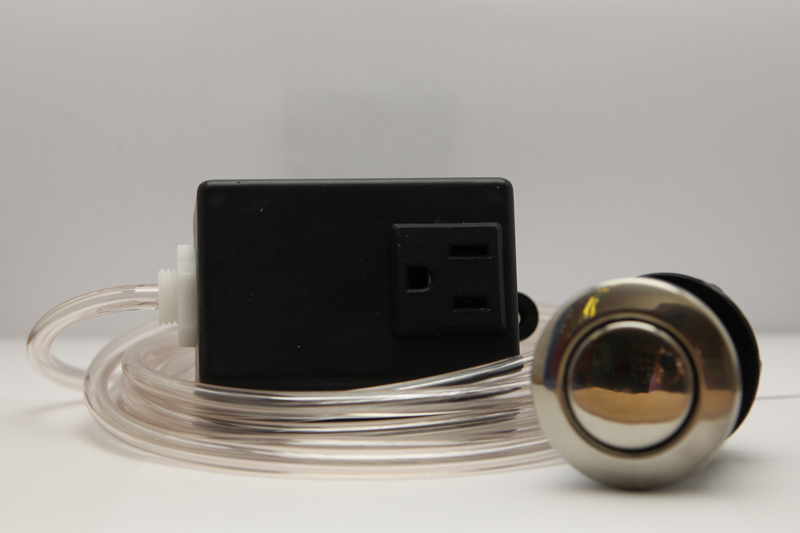 All air push buttons have a sealed internal air bellow to prevent water from entering the air tube that connects the air button to the air switch. Air buttons are commonly used in pool and spa applications located spa side controlling the air switches connected to the spa’s equipment, such as blower, pump, heater, or lights. Other common applications include garbage disposals, indoor/outdoor lighting, or medical and other industrial applications. Presair pressure switches make electrical contact when a certain set pressure has been reached on its input. Pressure switches can be both adjustable and factory set. Adjustable pressure switches have an adjustable pressure range of 1.5 inches of water to 125 Psi. Tinytrol Factory Set Pressure Switch models can be factory set from 0.25 Psi to 65 Psi. For low sensing air pressure applications our Sensitive Differential Pressure Switch does the trick. We also design and manufacture printed circuit board mount pressure switches for PCB work. Common applications for our pressure switches include monitoring air line pressure, sensing fluid levels, and medical equipment. Presair vacuum switches make electrical contact when a certain set vacuum has been reached on its input. Vacuum switches can be both adjustable and factory set. 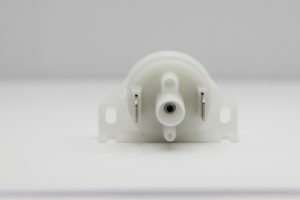 Vacuum switches can be both adjustable and factory set. Adjustable vacuum switches have an adjustable range on increasing vacuum of 2.5 inches of water to 300 inches of water. Tinytrol Factory Set Vacuum Switch models can be factory set from 20 inches of water to 300 inches of water. For low sensing vacuum applications our Sensitive Differential Switch does the trick. 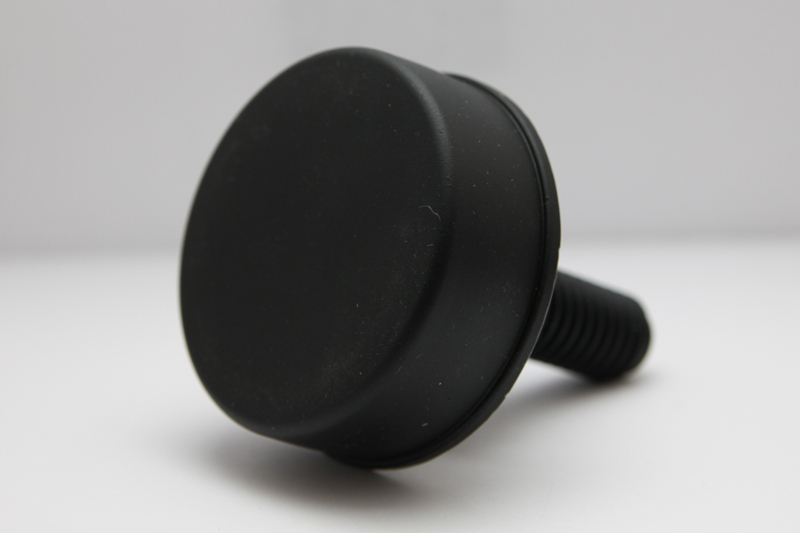 We also design and manufacture printed circuit board mount vacuum switches for PCB work. Common applications include pool/spa and industrial motors.